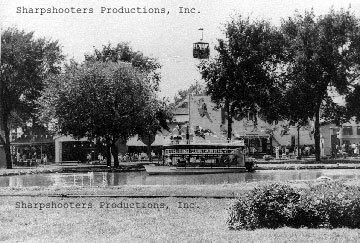 During the 50s, the park added the Showboat in 1957, and a Wild Mouse coaster for the 1958 season. The Blue Streak coaster (aka Skyrocket) was remodeled into the Fireball coaster in 1959 by removing the first double-dip drop and making the drop go about ten feet underground. 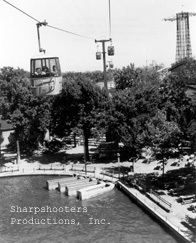 The Space Ride was added for the 1963 season, which allowed the patrons to cross a section of the park through the air. 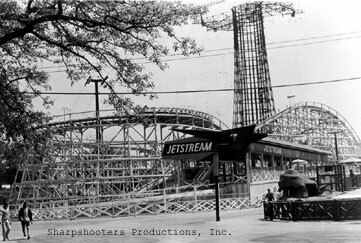 In 1965, the park demolished the aging Greyhound coaster, and replaced it with the new Jetstream coaster. A smaller ride than the one it replaced, it never paid off its cost due to the premature closing of the park at the end of the 1967 season. In October 1967, it was announced the Riverview would not reopen for 1968. Chicago was stunned! After some discussion, it was decided not to hold a goodbye party due to the uncertain Fall weather, and the lack of ride operators, who had moved on to their off-season jobs. The reason for Riverview's sudden demise is simple. Greed. The land the park sat on was worth more than the park's revenue. It had nothing to do with racial problems or Chicago politics. For the full story, see the documentary video or the book version of Laugh Your Troubles Away - The Complete History of Riverview Park.